GIZ-SAGEN supports capacity building measures to improve the operation and maintenance of municipal wastewater treatment plants, and to promote the use of generated biogas for power and heat applications. This factsheet describes how a practical guideline i.e. the "Anaerobic Digestion of Municipal Wastewater Sludge" was developed for this prupose, and piloted in three training sessions in order to test the concept and lend to the development of the guideline. 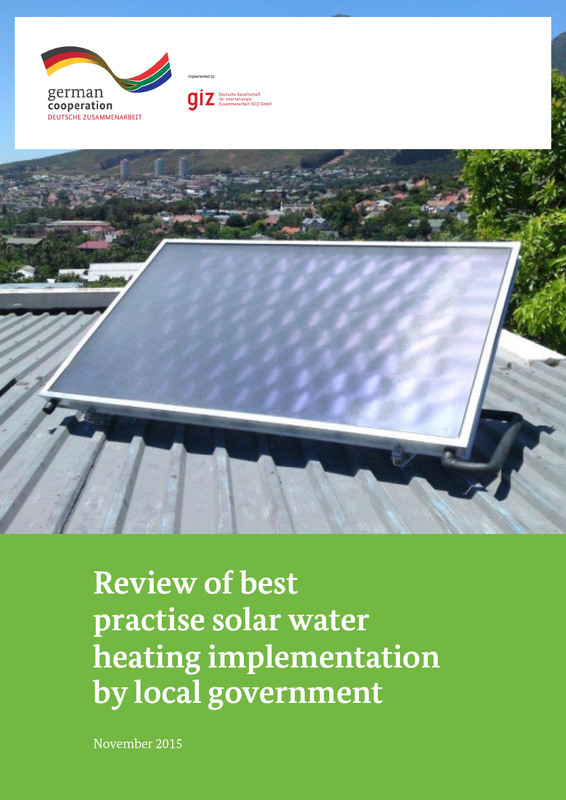 GIZ-SAGEN supported a pilot solar water heater (SWH) installation project in 2018 to test the implementation concept of the National Solar Water Heating Programme, and recommend best practise to the Department of Energy. The fact sheet summarises the experiences and lessons learned from the pilot project completed in co-operation with the Nelson Mandela Bay Municipality. 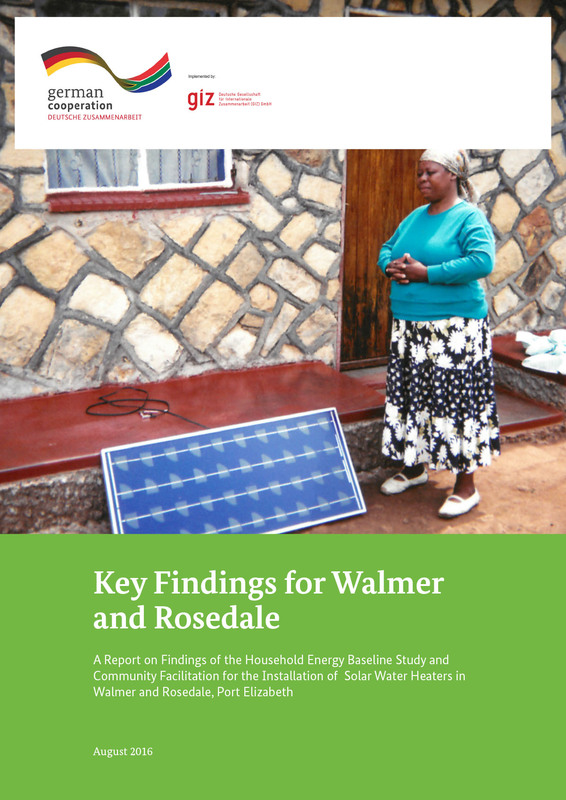 The aim of consultancy was to collect baseline data regarding household socio-economic profiles, energy consumption patterns, current levels of household knowledge regarding SWH and the willingness of the community to be beneficiaries of the SWH systems. The objective was to indicate cost and energy savings calculations after the installation of the SWH, and to develop a community consultation and communication programme that will outline the required steps to ensure the success implemented at the Nelson Mandela Bay Municipality pilot-project. The purpose of the review was to determine the best practice of SWH implemented by selected municipalities that previously in the Eskom Rebate Programme (eThekwini, City of Cape Town, Sedibeng, and Musina). The review explored the roll-out experience from a municipal perspective, considered the process from pre- and post- installation, with an intention to enhance future implementation of NSWHP. 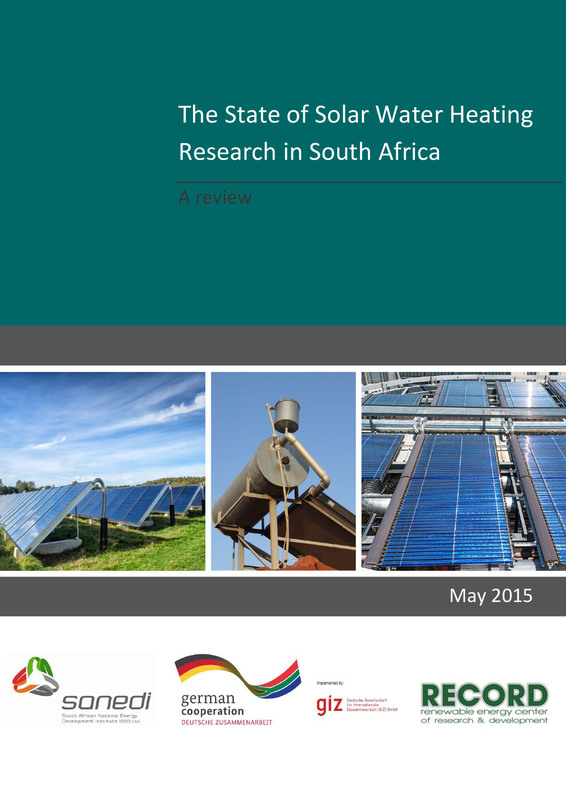 The objective of this review is to provide an overview of current SWH research being carried out at South African Universities, Universities of Technology and other research institutions, to identify common themes and priorities in this research, to identify possible gaps that are not being covered by current SWH research, to compile a profile of the SWH researchers actively working in the field and to make recommendations on future SWH research focal areas for South Africa.